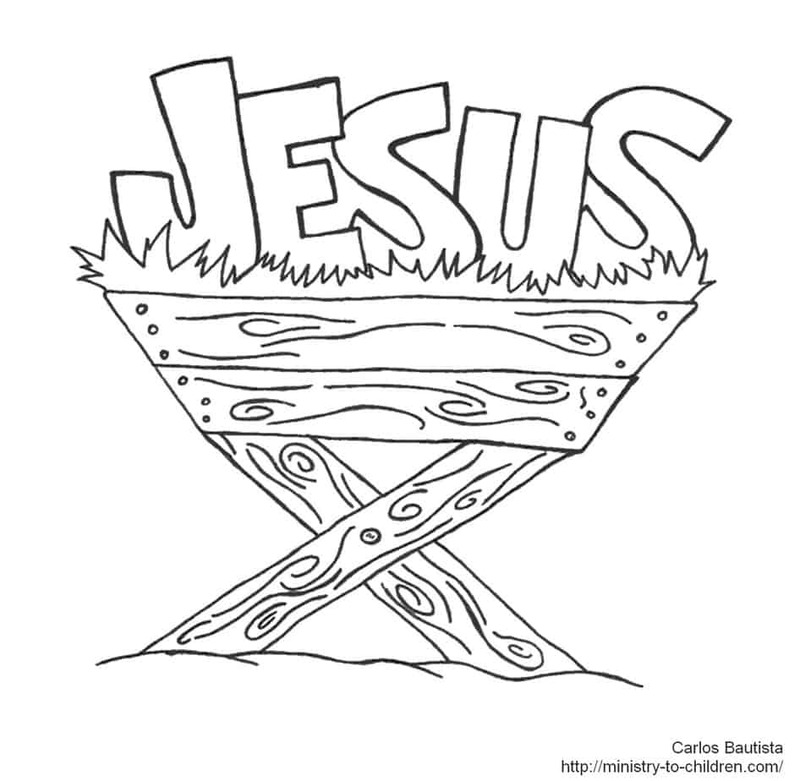 This simple coloring page shows the name Jesus, spelled out, sitting atop a manger. 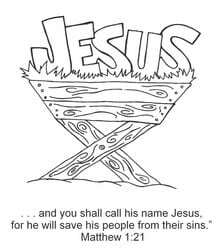 The Bible verse is from Matthew 1:21b, “And you shall call his name Jesus, for he will save his people from their sins.” This sheet would be useful with any of our Christmas Sunday School lessons, especially if your class has many younger elementary or preschool children. Use the option below to download this image. As a bonus, we’ve uploaded a version without the Bible verse if you need to use it with a different passage. 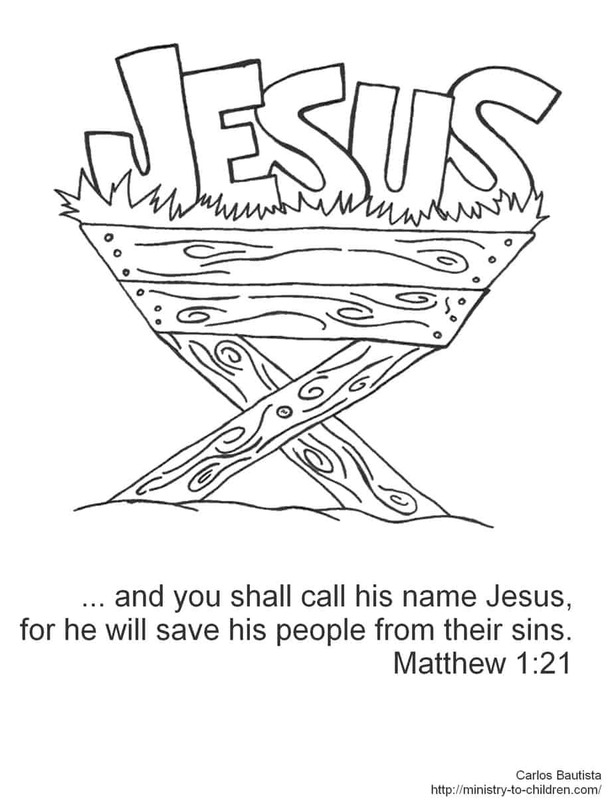 If you enjoy this, be sure to browse all our Christmas coloring pages. You can also leave a comment below to share how you will use this resource. Tony Kummer (Editor) reviewed & updated this page on : June 29, 2011 at 1:27 pm. All our content is peer reviewed by our readers, simply leave a comment on any post suggest an update.